All reservations are due by 11:59PM (MST) Feb 14, 2019 and based on availability. Book now! Special group-rate pricing and codes indicated in table below. Student $119/night "NMBISTSTUDENT" or "NMBIST Student Block"
Call Reservations Department 1-866-582-1646 and use the appropriate code listed above. Reservations & Check-in Details: When reservations are made, a deposit equal to the room rate and tax for the first night for each reservation is required. Upon check-in, each guest will be required to present a valid credit card, on which an amount of sufficient pre-authorization can be obtained to cover the room and tax charges and Hotel fees for the length of the guest's stay, plus the anticipated use of the Hotel's ancillary services. Early departure/check-out: If you would like to check-out earlier than your original departure date, please let the front desk know in advance, otherwise, a fee will be incurred. Cancellation Fee: Individual reservations must be cancelled at least 72 hours prior to confirmed date of arrival in order to avoid a fee or to receive a refund of the deposit. Resort Service Fee: Added to this guestroom rate is a Resort Service Charge of $10.00 per night which includes valet parking, high-speed wireless internet access, local and toll free telephone calls, coffee service in the lobby each morning, access to our outdoor heated pool, business center and fitness room as well as in room bottled water and coffee. 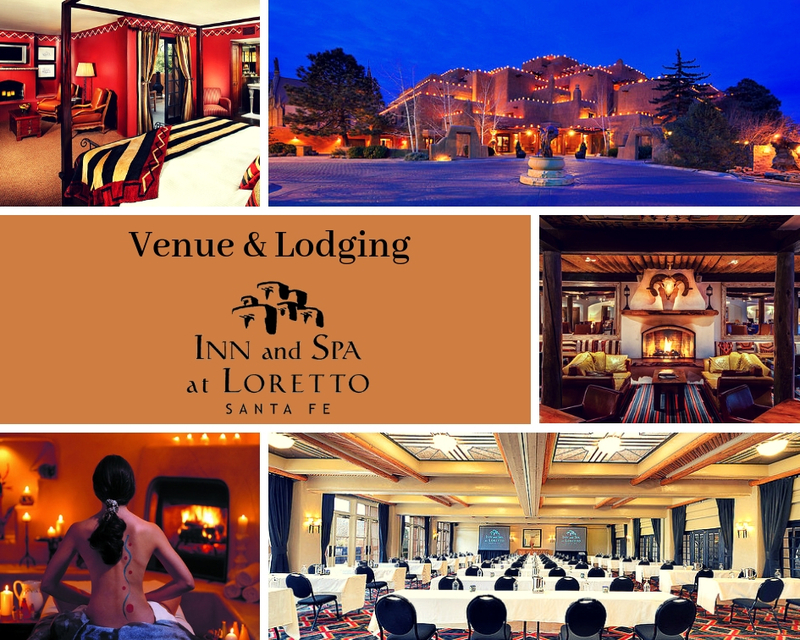 Valet services are covered by NM-INBRE for non-overnight guests attending the conference. Tell the valet you are attending the NMBIST conference. For overnight guests, this fee is included in your generously discounted $10.00 Resort Service Charge. $25 discount per person per day. May not be combined or used with other offers or coupons. It can be used towards 50, 80, and 110 minute massages, facials and rituals only. Cannot be used for retail, nail services, packages or specials.